without the need for sandblasting, coating or other expensive and time-consuming work and materials. Material thickness will remain stationary for years and decades, in salt and fresh water. Material thickness will remain stationary. 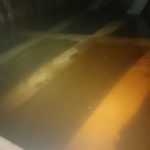 If you have material thickness that is sufficient now, but will expectedly be subject to replacement during the next special or intermediate survey, nC Nano Corrosion Passivator is your solution to keep thickness as it is right now. 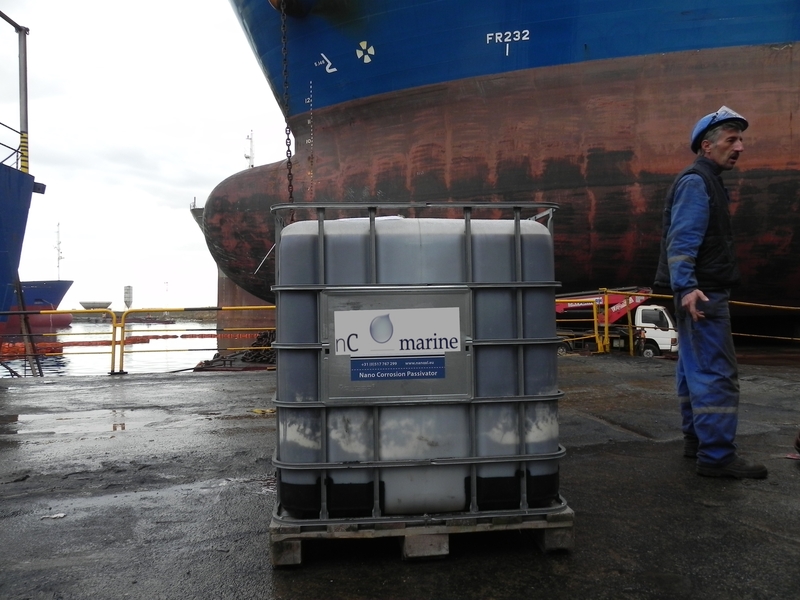 NCP Marine works through a process called chelation in which large synthetic molecules form a bond with the iron behind the rust, thereby pulling the loose iron oxide from the surface. NCP Marine forms a flexible barrier inside the capillar and intermolecular structure of the metal surface. The formulation passivates the metal corrosion process. 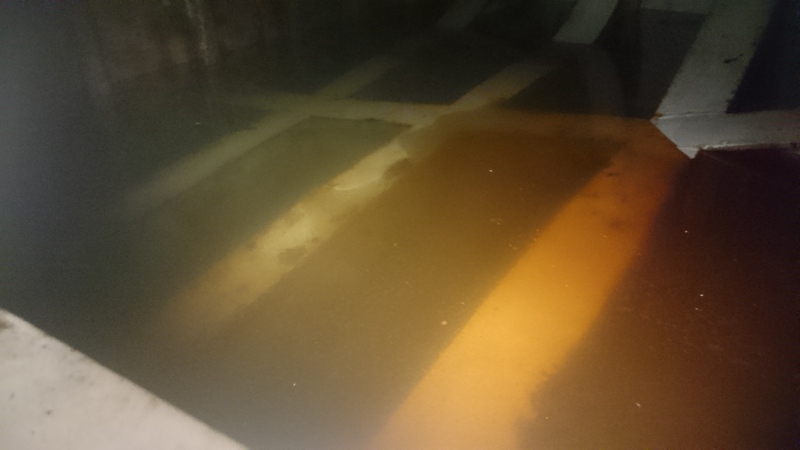 NCP Marine is an anti-corrosive penetrant and coating in one go. Suitable for all metals. Does leave a dry surface and provides protection against damaging influences of moisture, salt, welding and cleaning agents. NCP Marine comes as a flexible amber transparent nano-formulated fluid. It is free of solvents. Non-toxic. Will not evaporate. Reacts with moisture and metal and will dissolve even the heaviest corrosion from metals. Leaves no patina or sticky surface. NCP Marine comes in a carrier that is lighter than water. By means of filling and emptying the tank or structure with water and NCP, a 100% coverage is guaranteed. First time right. Spot-repairing by means of brushing, rolling or spraying is also common use. A skilled crew of 2 persons can treat up to 8 ballast tanks per day, depending of pumping capacities on board. Application of nC NCP Marine by floatation requires a maximum rise/fall rate of 20 cm per minute during pumping. To descale and passivate, two cycles are required in case of heavy corrosion. Once applied, nC NCP Marine can stand temperatures ranging from -75°C up to 1800°C. nC NCP Marine can last up to 5 years in ballast tanks, internal structures or double-bottom tanks when operating in salt-water. Tank tops of chemical and oil tankers will show shorter performance. 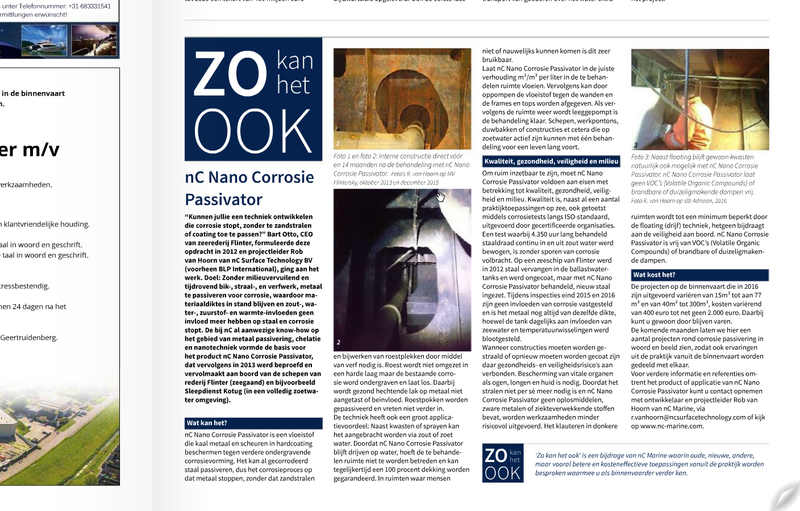 Fresh water applications of nC Nano Corrosion Passivator Marine will last well over 15 years. 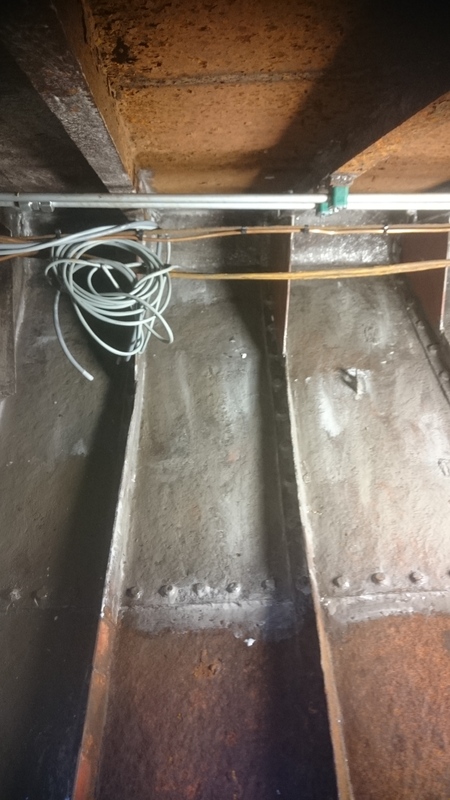 Welding the cargo on deck usually does not affect the nC NCP, but intense welding can damage the NCP coating. Always check whether the coating heals itself. 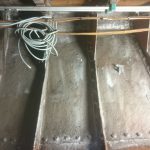 nC Nano Corrosion Passivator Marine is to be handled with protective gloves and eye/face protection. 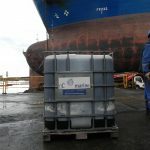 Reuse empty container with nC Nano Corrosion Passivator Marine only. 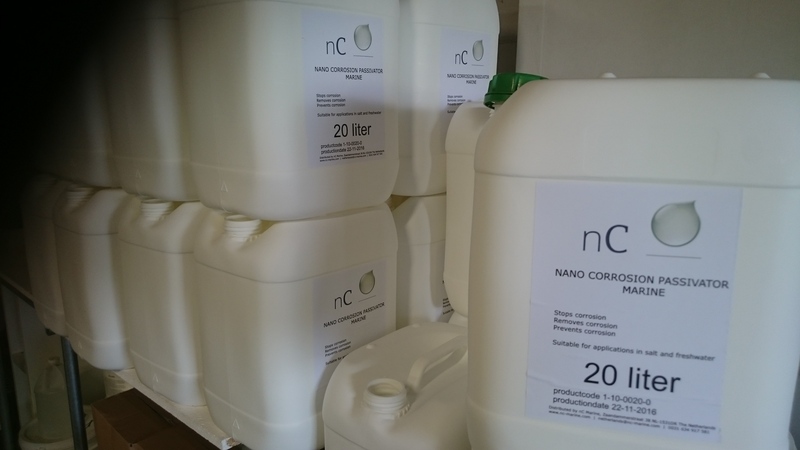 nC Nano Corrosion Passivator Marine packagings (opened or unopened) have an unlimited shelf life.